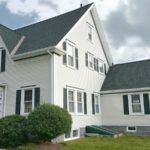 This New Bedford, MA home had us replace their old roof with a GAF Timberline Roofing System in the color, Weathered Wood. 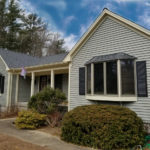 A GAF Roofing System is the perfect choice for New England homeowners for many reasons. It is durable and practically priced so homeowners do not have to budge on quality. In addition, a GAF Roof has a 130 mph wind rating and Dura-Grip Adhesive, so homeowners can feel good knowing that their shingles will stay in place. It also has multi-layer technology to give your home the ultimate protection from winter and coastal storms. Included in the multi-layer technology is a leak barrier, which protects your roof, attic, and home from water damage. 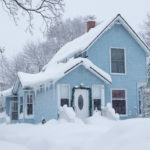 It also includes ridge vents that stop ice dams from forming on your home. As an award winning Master Elite Contractor, Customers will enjoy a factory registered 50 year non-prorated roof warranty. This means if Care Free Homes ever mysteriously disappears, customers do not have to worry because their roof will still be covered. 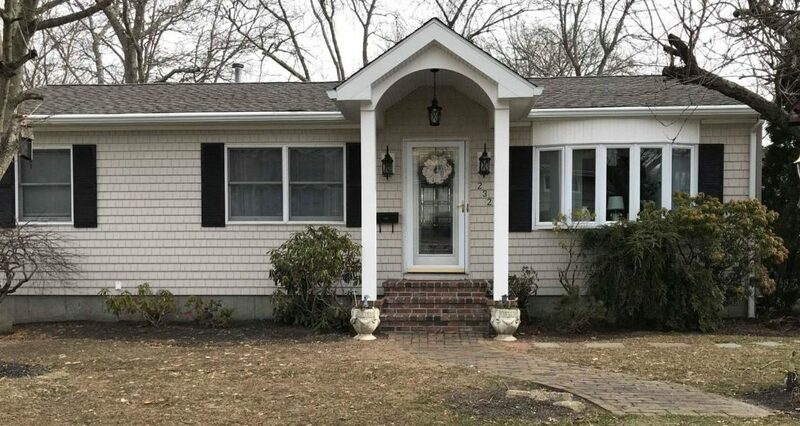 We also installed Mastic Cedar Discovery Vinyl Siding in the color, Dessert Sand on the home. 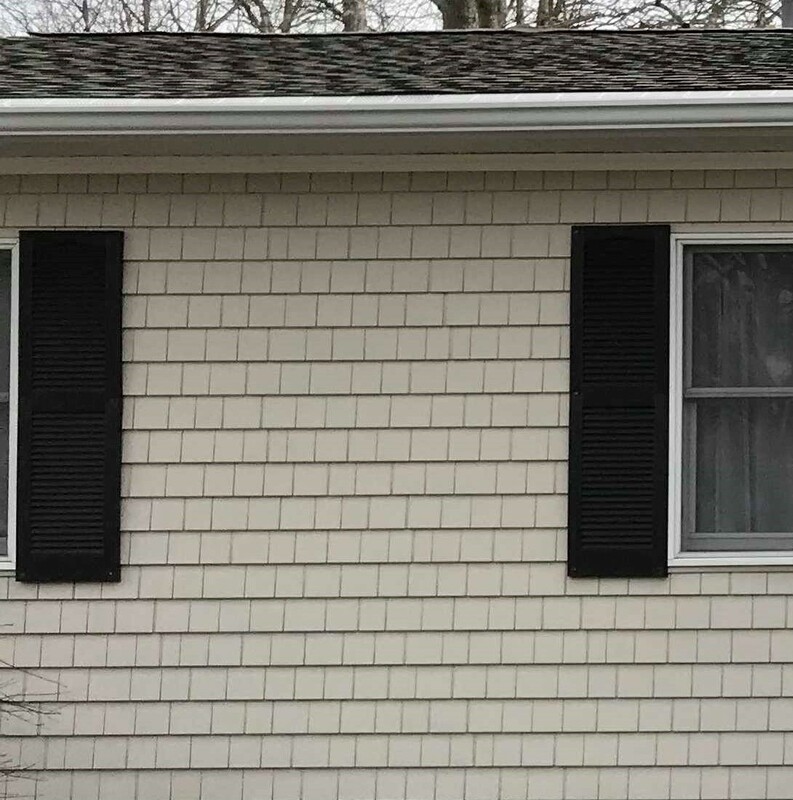 Vinyl Siding has come a long way since it was first brought to the market! Cedar Discovery is fade, mold, dent, and scratch resistant. So your home will continue to look beautiful for years to come. It also has a 230 mph wind rating so homeowners can feel good knowing their home is protected from the elements. With a wide array of colors, textures, and styles homeowners are sure to find the perfect siding for their home. Along with outstanding warranties, it is hard to say no to this maintenance free option. 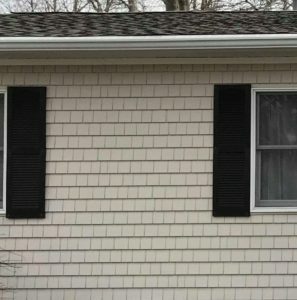 Check out Mastic’s website for their interactive design tool and see how different siding and styles would look on homes similar to yours. Is it time to give your home an upgrade? Care Free Customers do not pay a penny until their project is done! We’ve been in business for 40 years and provide service throughout Southeastern Massachusetts, Cape Cod, and Eastern Rhode Island. We take great pride in our quality products and outstanding customer service. Don’t postpone your project, contact us online or call for a FREE quote 508-997-1111.